US$25.00 for the first person; US$20.00 per person thereafter (all visitors must register at the same time to receive the group discount). Visitor Pass will be sent by airmail starting in mid-September. The delivery time is about 10-20 working days (depends on which country/region). Visitors can choose to pay a courier charge (calculated according to the destination country/region) to speed up the delivery time when registering. Please pay the required fee and receive your e-payment receipt through PayPal payment platform. Successfully pre-registered visitors will be given a voucher for FREE redemption of a copy of ‘Show Directory’ onsite (only available while stocks last). Visitors can choose to pay an extra cost of HK$20.00 to purchase a ‘Show Directory’ voucher when registering. Visitor Pass will be sent starting in mid-September. Visitors can choose to pay an extra cost of RMB¥20.00 to purchase a ‘Show Directory’ voucher when registering. Please pay the required fee and apply for your electronic VAT invoice (fapiao) through Alipay/WeChat payment platform. Visitor Pass will be sent after the Chinese National Day. Visitors can bring along the original ‘Visitor Registration Form’ (photocopies are NOT accepted) and your business cards to register for free admission the day before show opening or during show period. Visitors who have not pre-registered or do not hold 'Visitor Registration Form' have to pay an admission fee of RMB¥30.00 per person. Visitors can register through our official WeChat platform. Visitor registration fee is RMB¥30.00/person. You can receive the 'Show Directory' CD-ROM version free-of-charge onsite (only available while stocks last) if successfully registered and paid the registration fee before November 30. Successfully registered visitor can use the Registration QR Code to self-print your Visitor Pass onsite the day before show opening or during show period (please refer to the timetable above). 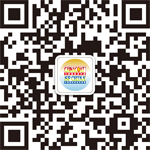 Visitors can now scan the QR code below or search for the WeChat ID ‘ChinaCoat_SFChina’ to register and to receive the latest show information. Note: Chinese mobile number is required for verification during the registration process. Trade associations or enterprises with a group of 5 or more can form delegation to enjoy free visitor registration. Please contact the Organizer at vr@sinostar-intl.com.hk for more details.